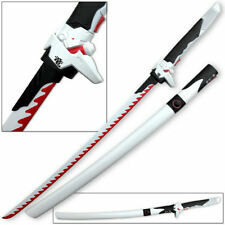 This is the carbon steel and unsharpened version of the Genji Katana, featuring a two-toned blade that is silver and red. Sheathing the Overwatch Katana Genji Sword WHITE/RED Dragonblade into the Saya displays a stunning and seamless look, as the throat of the scabbard matches right to the guard of the sword. 4 Swords (2 Yellow, 2 blue), 4 Axes (2 Grey/Brown, 2 Blue/Green). Large and oversized. The Legend of Zelda: Skyward Sword SteelBook - G1 [Video Game Metal Case] NEW. Condition is New. Shipped with USPS First Class Package. The Legend of Zelda Skyward Sword G1 steel book was only available for the French for those that pre-ordered Skyward Sword. These are very rare and hard to find. Comes from a smoke free home. 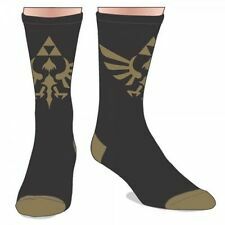 Must have for any Zelda Collector. Check out my other Zelda listings. HALO REACH INFLATABLE COVENANT ENERGY SWORD BEST BUY PRE-ORDER PROMOTIONAL Promo. Condition is Used. Is inflated to show the sword. Will deflate prior to shipping. Shipped with USPS First Class Package. Castlevania: Lords Of Shadow Letter Opener Sword From Loot Crate. Condition is Used. Shipped with USPS First Class Package. This is the exact reproduction of the ZELDA LINK'S MASTER SWORD. Functionality or Purpose: Decoration Piece for Show. These policies are used as guidelines. We are not responsible for credit card fraud. Sword Art Online Hollow Realization STEEL BOOK. 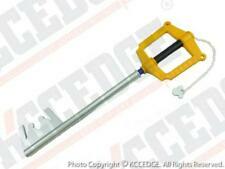 This Key Sword will fit perfectly with your high quality collections. 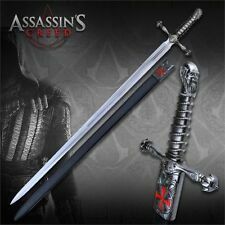 One of the best sword to collect, decoration or sparring. It features a durable heavy duty Polyurethane hard foam with PVC inner core with a a unique handle grip. New foam sword from the square enix booth of pax 2019. 24 inches long. A diamond pickaxe redstone dust. Pickaxe: 16" x 12" x 3/4". Redstone Dust: 3 3/4" x 4" x 3/4". Minecraft allows you to explore infinite possibilities. It lets you build the world the way you want to - you are the almighty ruler of this blocky kingdom. Fill Link's Master Sword with your favorite tea blend and set it down into the depths of your cup. A Nerd Block exclusive. You should always be careful with giving your information on the internet. This coin album will hold up to 10 collectible coins. I will do what I can to make things right! I cannot help you with a problem if I don't know about it! I usually respond within 24 hours, unless I am dead, dying, or just can't make it to a computer. Legend of Zelda Classic Sword (8-Bit). A replica of the Sword from the originalLegend of Zelda. Weight: 8 oz. Frostmourne Lich King Sword Ashbringer Scarlet Highlord Sword Set of both full sized collectible swords! Must be 18 years or older to buy. These policies are used as guidelines. Material Stainless steel. Voice: Chinese (Mandarin) / Subtite : English, Chinese. Explore a world of ancient Chinese mythology! Choose the playstyle of your characters and weapons, combining unique attributes and combinations – and even morphing the way your weapon looks and attacks! 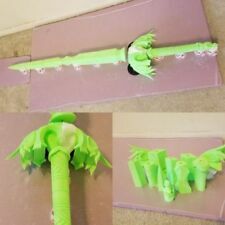 Foam Sword Promo item was provided by Square Enix during PAX East 2018 Gaming Convention. FINAL FANTASY XIV  ONLINE Red Foam Promo Sword by Square Enix. Complete Your Final Fantasy XIV Collection! Brand New, Never Used. See pictures for details. We combine shipping. Just add Items from our Ebay Store, to your cart and request an invoice. Take a look at all the amazing deals on our Ebay store at http://stores.ebay.com/retrotime. Be sure to sign up for our Email list and News Letter to make sure you don’t miss out on our great sales. Legend Of Zelda Breath of the Wild Coin Collector's Album GET IT FAST. Condition is New. THE LEGEND OF ZELDA. BREATH OF THE WILD. COIN COLLECTOR'S ALBUM. ALBUM 1 COIN. The object for sale is ONE item (unless otherwise indicated). This auction is for a NEW, Skyward Sword Link World of Nintendo figure. Package has some minor shelf wear and damage to the bubble. Overall good condition. Please see the photos of the exact item you will receive! Paypal only. Sold as is, no refunds, US Shipping only. Check out my other used shirts, cds, and stuff i have for sale! Thank you! The pictures show the item you are buying. Legend of Zelda Master Sword Letter Opener. Includes letter opener and display stand. Product Specifications. 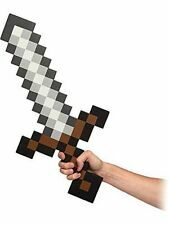 EVA makes the Minecraft Diamond Sword a sturdy tool, hefty yet with enough cushion that you'll feel comfortable using to slaughter a wide variety of baddies. 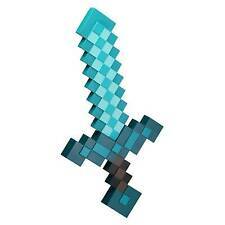 Minecraft Deluxe Diamond Sword. Paint chipping. One of the most storied franchises in history soars to new heights. Analyze enemy attacks and defenses and counteract with precise sword swings in a dynamic new combat system that combines fighting and puzzle-solving. Brand: TECMO KOEI AMERICA CORP.
Blade Length: 22". Blade: Unsharpened. Overall Length: 35". Material: Stainless Steel. No signs of being used, and or scratches. This is a nicely made replica of YASUO sword in League of Legends. This sword features a black wood scabbard. Blade Material: Steel. The handle is 11" long and is beautifully made. We believe that this was a free item with pre-order of Heavenly Sword when it launched in 2007! We have been told that this cool looking letter opener would be a cool addition as a 'sword' for your Naruto Statue???. This is a G1 Ganondorf Gold Foil card from the 2007 Legend of Zelda Twilight Princess card set. This is one of the nine super rare Gold Foil cards. Sword Art Online Lost Song Limited edition Goods no game. Condition is New. Shipped with USPS Priority Mail Padded Flat Rate Envelope.